Soft, fast, and durable. 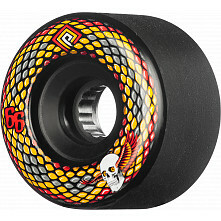 Powell Peralta Soft Slide Formula Wheels are available in 75a and 85a durometers. They are designed to ride and slide smooth, making them very popular for freeride and downhill skating. Browse our selection of Powell Peralta Soft Slide Wheels and choose from a variety of durometers, colors, and sizes.